Foundations make one of the most vital parts of makeup. You can never get your makeup right unless you have put on the right foundation in the right way. 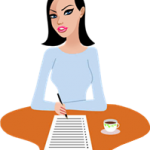 Presently, there are many international cosmetic brands marketing their foundations in India. However, the foundations from the different Indian brands do not lag behind in the competition. Lakme has launched a bunch of foundations in the market under their different ranges. However, amongst all the foundations from this brand, the absolute white intense skin cover foundation is considered to be the best pick. This water based foundation settles into a matte finish and is completely devoid of oil, which makes it ideal even for the sensitive, oily skinned beauties. The USP of this foundation lies in its SPF 25 and Vitamin B3 content. While SPF 25 offers decent sun protection, Vitamin B3 nourishes the skin and can be effective to remove marks and scars on the skin with regular use. Lakme Absolute White Intense Skin Cover Foundation has a texture that is light and blends in easily. However, it is not a full coverage foundation, and you will need to apply a concealer underneath for covering up any marks on the skin or the under eye dark circles properly. This one of the Best foundations from Indian brands comes in a wide range of shades that suits the Indian skin tones perfectly. This foundation has a nice staying power and settles to give a matte finish. Lotus Herbals is known for using natural ingredients that are nourishing for the skin and do not bear side effects. The Lotus Herbals Ecostay Foundation is considered as one of the most successful products from the brand. This foundation is available in 5 shades and can be an ideal pick for the dry skinned girls. The formula of this foundation is completely oil free. However, it has cream like texture. The foundation gives medium coverage on single layer application but can be built on according to the needs, without looking cakey. This foundation is actually a great product that can give you a perfect base for all your makeup. Lotus Herbals Ecostay Foundation is noted as a prominent player in the list of the Best foundations from Indian brands. It provides weightless and luminous coverage. It gives the skin a hydrated and dewy finish and not a matte look. This foundation helps in minimizing the appearance of fine lines and uneven skin tone. It does not clog the pores and is completely safe for regular use. The Pot of Gold Foundation from Shahnaz Hussain has some serious fan base in the country. The best thing about this foundation is that it includes no harmful chemicals and for giving a dewy effect on the skin it uses pure gold dust. The use of gold in skin care is not new in India, and this foundation brings you the easy way to get the glow of gold on your skin. This foundation has a thick cream-like texture that is best to be blended with the help of a makeup sponge or brush. The product is not formulated with silicone, which makes it not-so-easy to spread on the skin but at the same time, your skin is saved from the harmful side effects of silicone. It is known for giving a perfect, dewy finish to the skin which is ideal for evening parties and occasions. It gives medium to full coverage on the skin along with a smooth finish making your skin look even younger. This foundation does not clog the pores and ensures no side effects on the skin even in the case of frequent use. If you are looking for a good quality foundation that will not budge your skin, you can surely give this product a try. 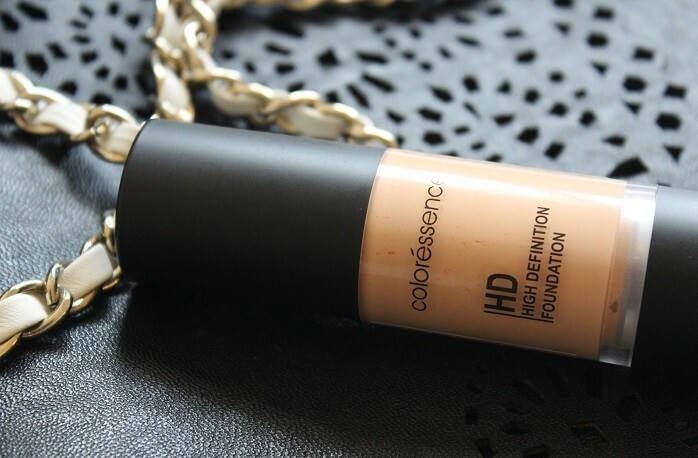 The High Definition Foundation from the Indian brand Coloressence is a well-known foundation in the market. The product is highly pigmented, and you need only a few drops of it for a light to sheer coverage. However, it can be built up and can give full coverage if needed. This foundation has a whipped cream-like consistency and gives a completely matte finish which makes it ideal for use on oily skin. When applied over a moisturizing base, this long wear foundation can last really long. It is easy to blend in, and the texture is smooth and lightweight. The SPF 20 of this foundation provides decent coverage from the harmful UV rays of the sun and gives a flawless and smooth finish on the skin. Coloressence High Definition Foundation also combines active skin revitalizing ingredients that help in correcting the visible signs of aging. So, if you are looking out for a multi-purpose foundation, this can be a good pick. Blue Heaven X Factor Foundation is a decent quality budget foundation that has an honest customer base in India. This foundation is priced very reasonably, and it fares much better than many other foundations in the same range, which works as the main reason for including it in the list of the Best foundations from Indian brands. As the company claims, it is an all in one foundation, and hence you can use it as a concealer, a makeup base and also as a foundation. It has a light creamy texture that gets absorbed into the skin easily and settles into a semi-matte finish. The best thing about this foundation is that it provides a good enough coverage but you can also wear it for a “normal” look according to your needs. This foundation does not dry out the skin not it makes skin oily and hence works as an effective foundation for all the skin types. Blue Heaven X Factor Foundation has long staying power, and when set with a pressed powder it can last you the whole day. The foundation feels light on the skin and can be an all-round product to be used according to your makeup needs. Pure Skin Liquid Foundation from the first Indian Halal and vegan cosmetic brand Iba Halal Care has already started to generate a good fan base in the country. The foundation is claimed to offer a smooth and glowing base for further makeup. It combines the goodness of Aloe Vera, Vitamin E and a number of other minerals that make it actually nourishing for the skin. This foundation can be blended easily on the skin, and it covers not only the unevenness in pigmentation but also the blemishes, patches, and dark circles efficiently. It settles to give a matte finish on the skin but does not make the skin dry. It is formulated without oil and feels light and breathable on the skin. 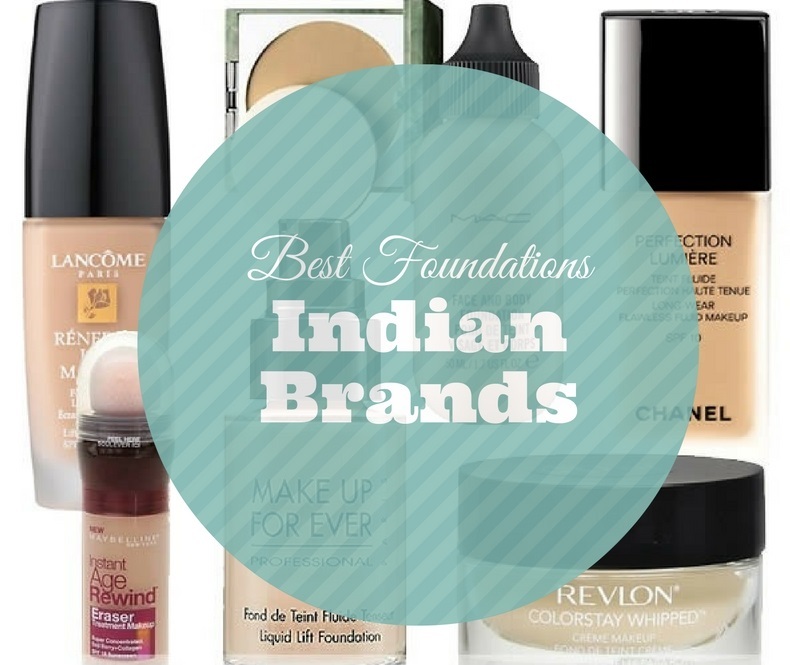 Now you have the list of the Best foundations from Indian brands and can easily make your choice according to your requirements.